Late in the afternoon of October 23rd, as I was starting to cook dinner, I remembered that a partial solar eclipse was about to begin. I turned off the stove, threw a lid on the pot, grabbed my camera bag and dashed out the door just as Steve was coming home from work. “Dinner in an hour or so, okay?” I drove to a nearby spot, parked the car, then jogged a half mile to the riverbank and quickly set up my tripod. 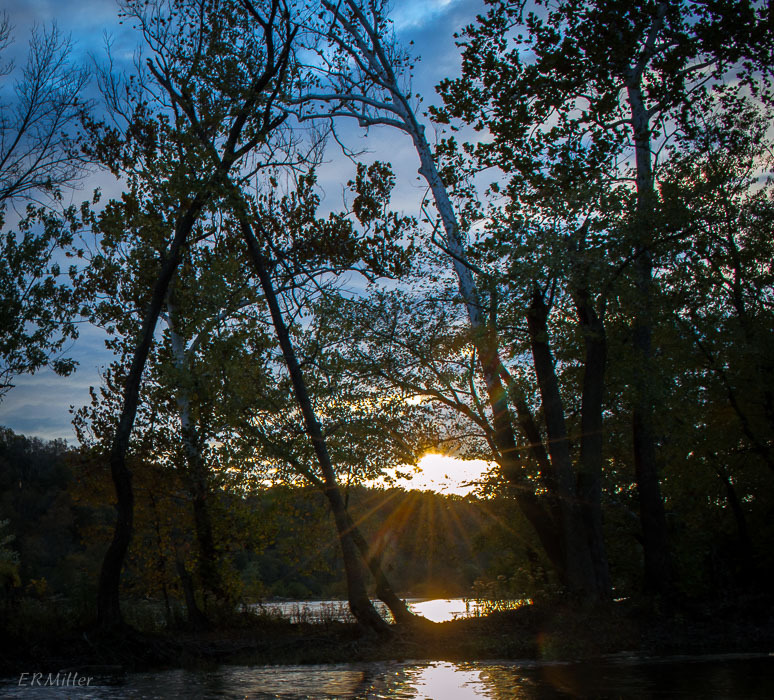 This entry was posted in Uncategorized and tagged Potomac River, sunset by elizabeth. Bookmark the permalink.